Halloween Time at Disneyland is most certainly my favorite time of the year. 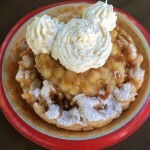 The decor, the ride overlays, the merchandise, and the FOOD! I always look forward to trying out new holiday offerings, but this one I was a little nervous about because I don’t really have fond memories of eating at Tomorrowland Terrace. It’s been a really long time since I’ve eaten here and I’m happy to report that I did have a pleasant experience. In fact, in the near future, we should probably feature a full review of this counter service eatery here on the blog. I’ll put it on my “to do” list. 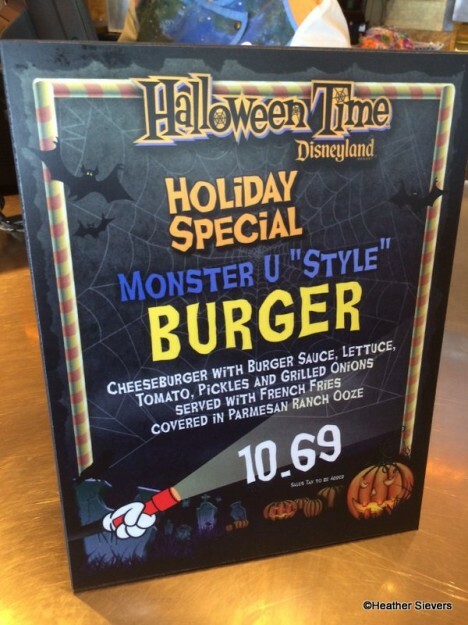 For now though, let’s take a look at the Monster U “Style” Burger and Fries meal that they’re featuring through October 31st. 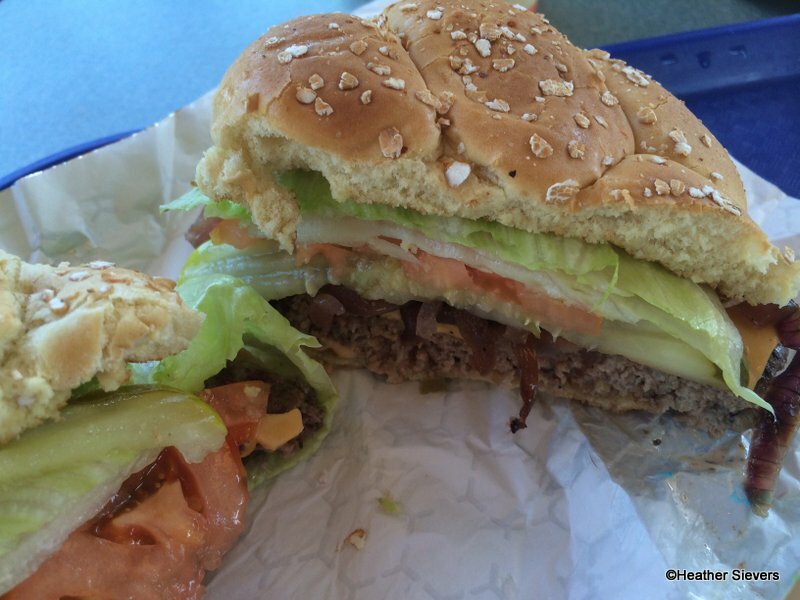 The Cheeseburger comes topped with Burger Sauce, Lettuce, Tomato, Pickles, and Grilled Onions. It’s served with a side of french fries covered in Parmesan Ooze. The burger itself was nothing special. It wasn’t amazing, but it definitely wasn’t awful. Really your standard burger with a bit more flavor due to the added grilled onions. The ingredients were fresh; the lettuce and pickles were crisp, and the tomato was chilled. The cheese however could have been a bit more melted. The bun was soft and featured oats on top. I didn’t really notice a distinct flavor coming from the “burger sauce.” It seemed like your basic Thousand Island type dressing. The French Fries with Parmesan Ranch Ooze though, they were fabulous! The sauce is a combination of Blue and Green colored Parmesan Ranch Dressing. 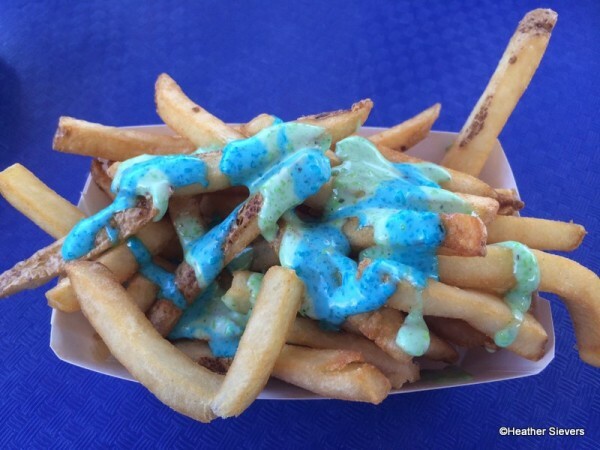 If you like to dip your French Fires in Ranch Dressing, you will enjoy the colorful “Ooze.” Plus… Look at it! It’s so pretty! 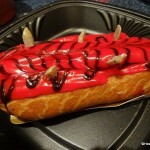 Overall, I say the Monster U “Style” Burger is worth a try. The price point is fair for the amount of food that you get and the quality is good, too. 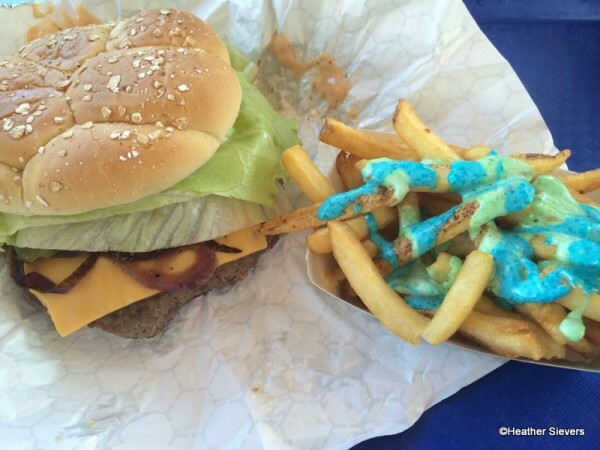 The French Fries with Ooze are fabulous. And as an added bonus, Tomorrowland Terrace is a great spot for watching the Jedi Training Academy. So if you time it just right, you get a show with your meal! Have you tried the Monster U “Style” Burger? What did you think? How about the Ooze? Did you love it? Call me old fashioned but I’m of a school where once you food turns blue and green you just don’t eat it. 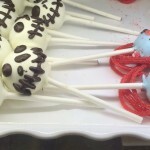 I’m really getting leery of all the food dye the food manufacturers are putting into our foods; that said, I love Monsters, Inc and Monsters, U. and think that this would be a good Halloween treat since I try to avoid dyes otherwise. Kind of confused how you can see Jedi Training from Tomorrowland Terrence. And I’m pretty sure I couldn’t eat those fries.. So long ago they had the purple and green ketchup and I couldn’t do that either. I thought that Jedi training academy was in Hollywood Studios? Jennifer — They have a Jedi Training Academy in Disneyland as well. 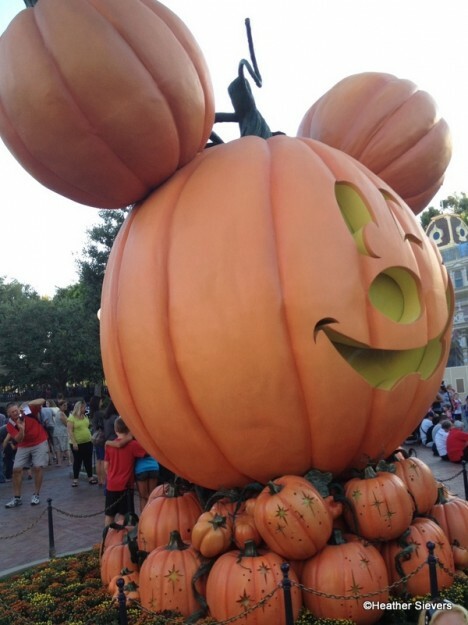 Amy — This is in Disneyland. They have a Jedi Training Academy right next to the Tomorrowland Terrace Restaurant there. I agree with Essie, we should avoid the dyes. My daughter, peaking over my shoulder, however, said she’d love to try the fries. Is this seasonal? Do we know how long they will offer it? 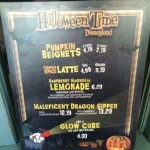 And wouldn’t it make more sense to offer it at a food area next to the Monsters ride in CAA? @Angelina – I was thinking the same thing. We tend to freak out when it’s a “non dessert” item. 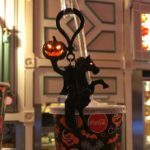 @Rosslynn- Yes, it’s seasonal, it’s available through Halloween Time, ending October 31st. As far as serving near Monster’s Inc at DCA, there are no eateries near there that serve burgers. However, I would LOVE to have a Monster’s Inc restaurant near the attraction. That would be amazing. I vote for Harry Hausen’s! Is this still a part of the Halloween celebration? Do you know? Deej – Yes, I did see that they had it again this year. Same spot too!